The aim of this study was to compare radiation exposure in panoramic radiography (PR), dental CT, and digital volume tomography (DVT). An anthropomorphic Alderson-Rando phantom and two anatomical head phantoms with thermoluminescent dosimeters fixed at appropriate locations were exposed as in a dental examination. In PR and DVT, standard parameters were used while variables in CT included mA, pitch, and rotation time. Image noise was assessed in dental CT and DVT. Radiation doses to the skin and internal organs within the primary beam and resulting from scatter radiation were measured and expressed as maximum doses in mGy. For PR, DVT, and CT, these maximum doses were 0.65, 4.2, and 23 mGy. 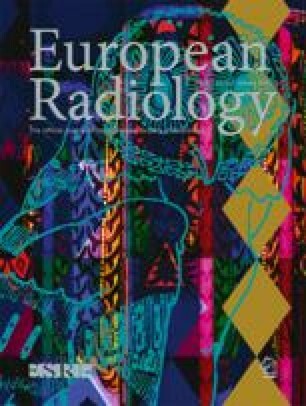 In dose-reduced CT protocols, radiation doses ranged from 10.9 to 6.1 mGy. Effective doses calculated on this basis showed values below 0.1 mSv for PR, DVT, and dose-reduced CT. Image noise was similar in DVT and low-dose CT. As radiation exposure and image noise of DVT is similar to low-dose CT, this imaging technique cannot be recommended as a general alternative to replace PR in dental radiology.